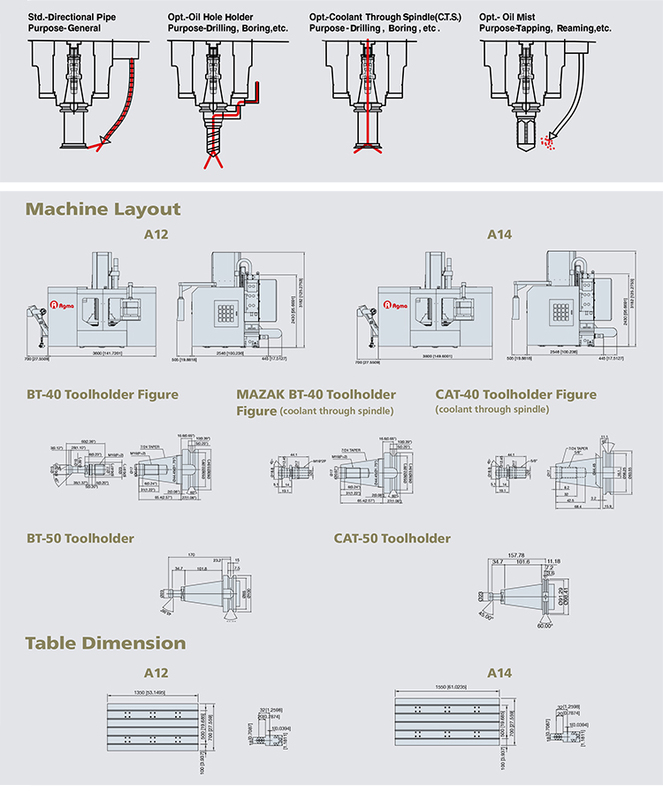 The overall design of A12/A14 series is to achieve the best balance of structure rigidity, machining speed, and output efficiency for various industries, such as automobile and aerospace etc. 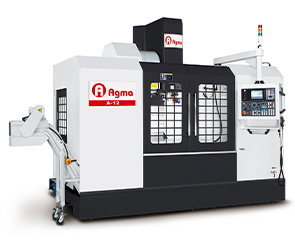 This series of machines feature 8,000 rpm pully-drive spindle for BT- 40 and BT-50 as standard, and have 10,000/12,000/15,000 rpm direct-drive spindle for BT-40, and 6,000 rpm gear-drive spindle with BT-50 as options. 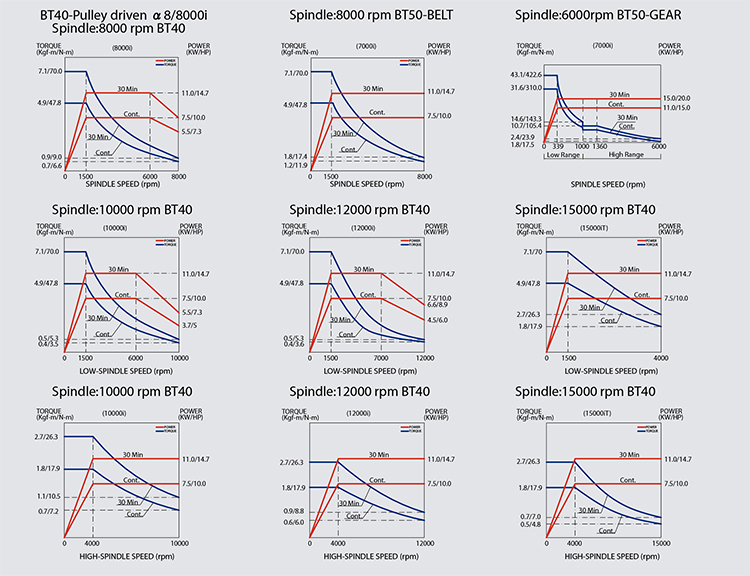 The options on the spindle offer extensive flexibility and supports for various machining applications.